The last week of June, we were running around like chickens with our heads cut off. We were leaving for vacation and wanted to get the house in tip top shape. Germaine tackled the laundry and dishes while I tackled the bedroom and bathroom. The bathroom was a mess from me mostly. When doing my hair and makeup, I would leave everything on the sink. 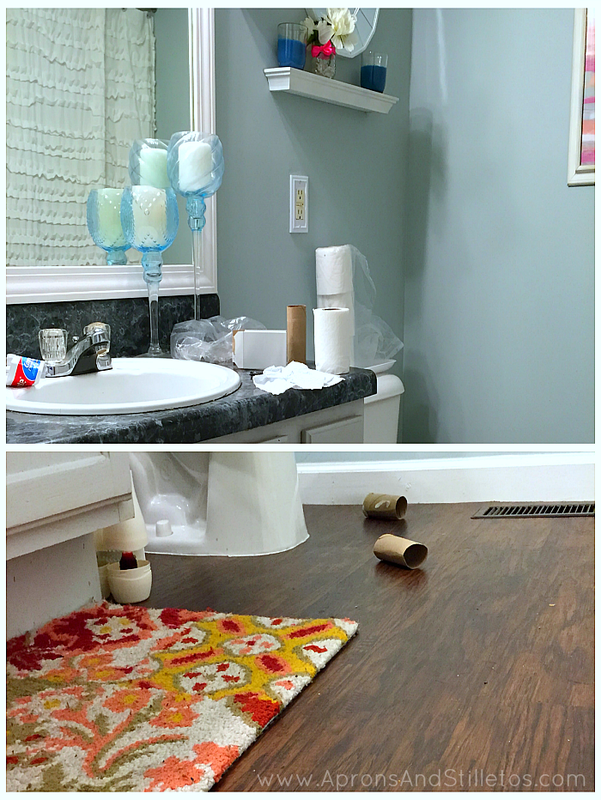 On top of that, my kids were leaving the toilet paper rolls in the bathroom which usually ended up on the floor. I was running low on cleaning products so before I got started I went by Dollar General to get what I needed. 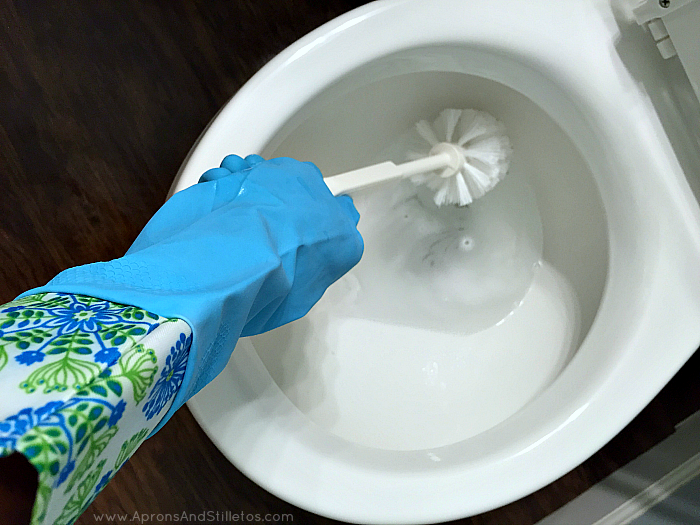 Using the methods for bathroom cleaning I’d picked up from watching hotel housekeeping, the bathroom was clean in seven easy steps. 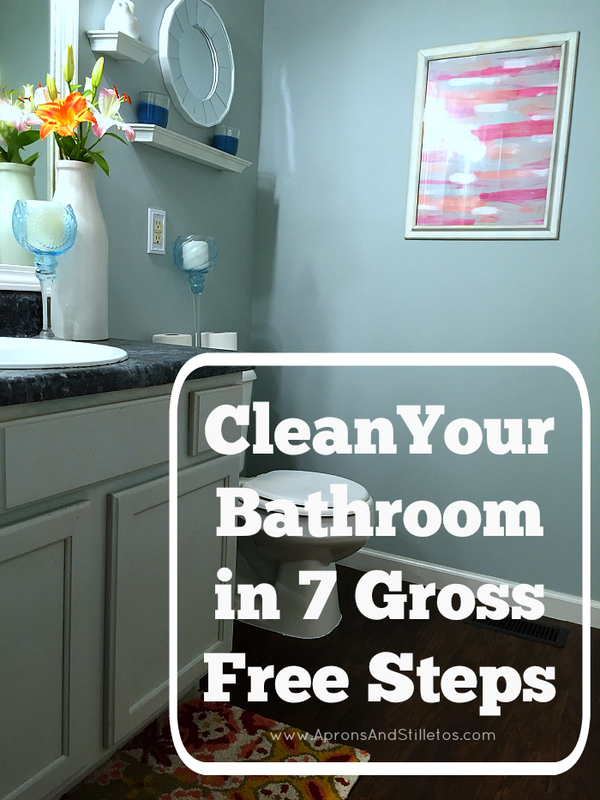 These steps make the whole bathroom cleaning process seem less gross. 1. First I grab two plastic shopping bags. One is placed in the bottom of my wastebasket to use after cleanup and the other is used to line the wastebasket. 2. Next I begin clearing the surfaces and floors. Things are either taken out of the bathroom during this step or discarded in my wastebasket. 3. 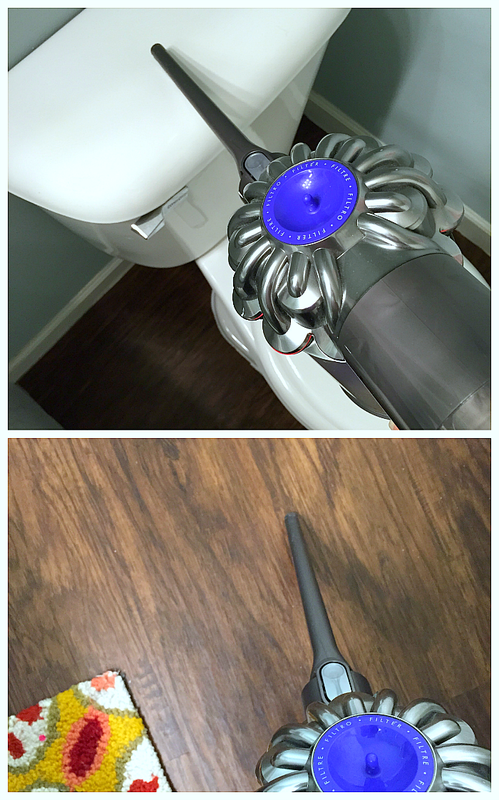 Now I vacuum from top to bottom getting up smaller trash from the vanity, commode and floor. 4. Once the vacuuming is done I get my helpers. 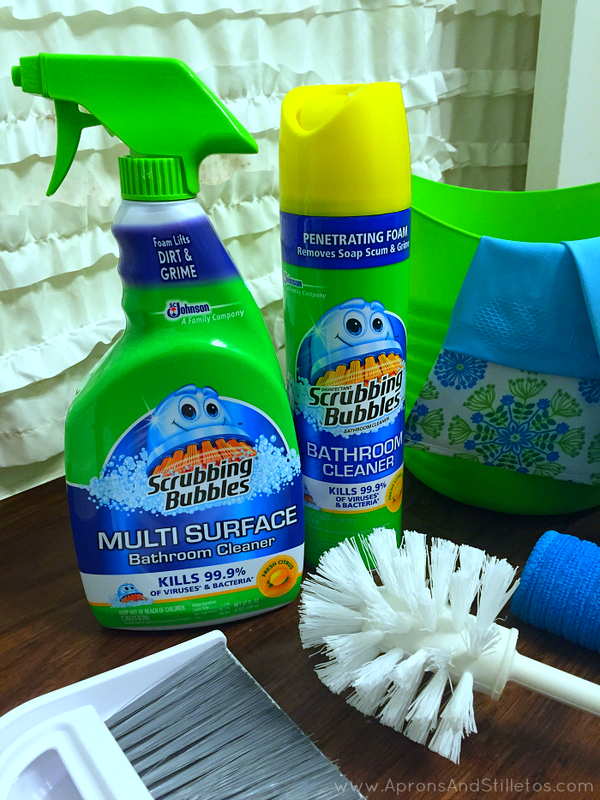 They are all from the Scrubbing Bubbles® Bathroom Cleaner product line. I especially like using them to clean the bathroom because of the foaming qualities. 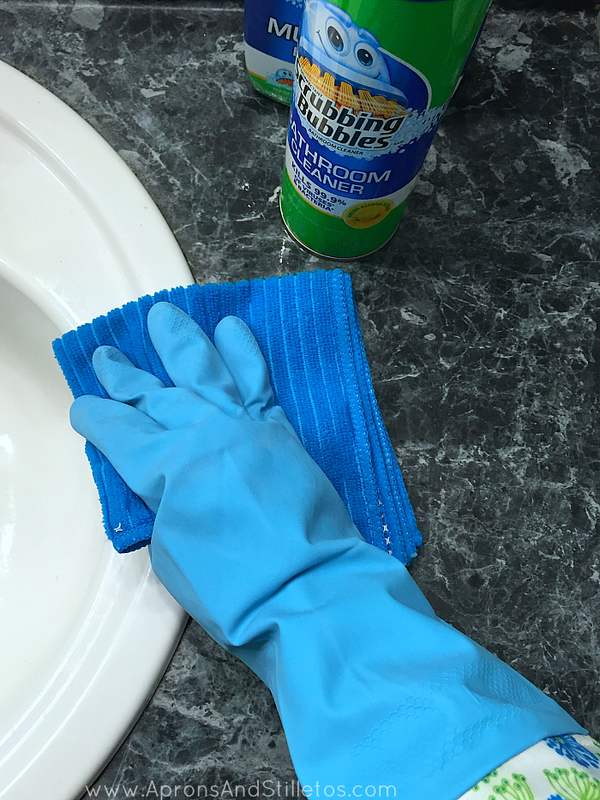 Foam is perfect for cleaning bathrooms for several reasons. Foam adheres to the surface better verses dripping as soon as it’s sprayed. It also allows you to see where the spray lands. 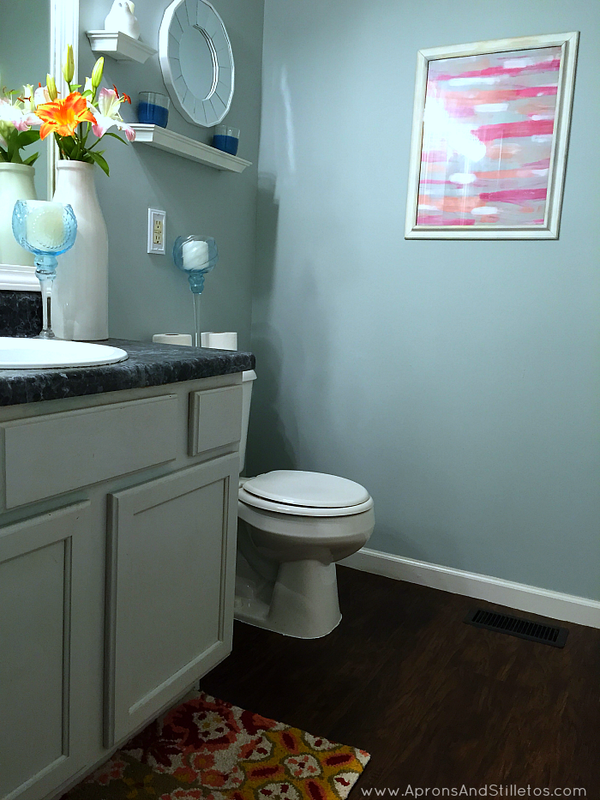 The fact that it doesn’t immediately drip is great for the inside of sinks, commodes and shower walls. I start by spraying down every surface where I want to kill germs. 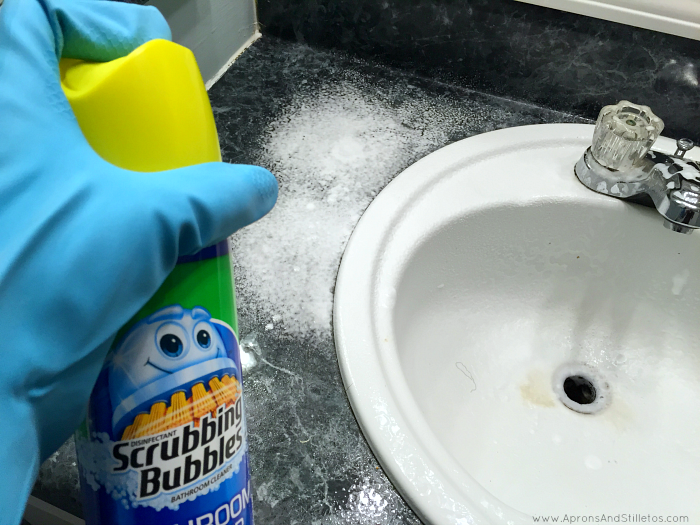 Scrubbing Bubbles® kills 99.9% of viruses and bacteria* so I spray the vanity and toilet area liberally making sure to cover all surfaces. I allow the spray to sit for several minutes so the foam can penetrate dirt and soap scum. 5. Now with gloved hands I wipe the solution away with a wet cloth and rinse thoroughly with water. 6. 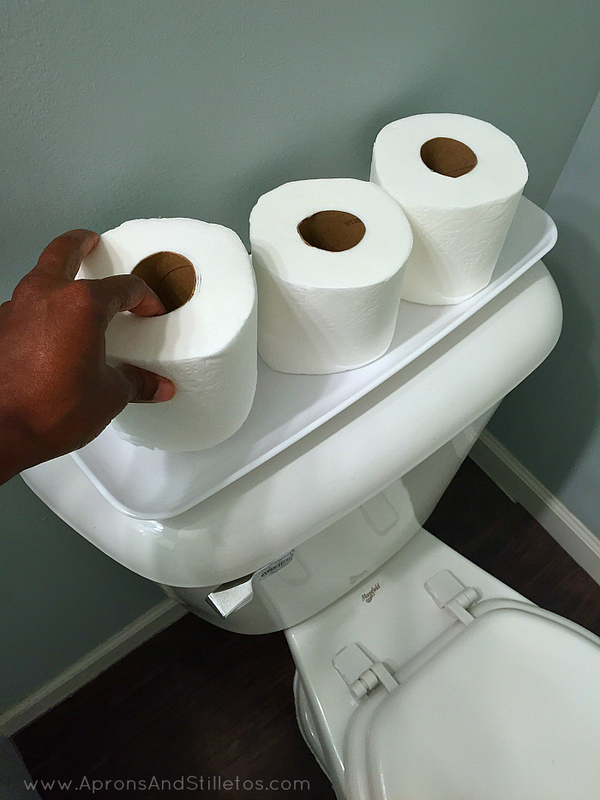 I repeat the same process for the commode only using paper towels instead of a wet cloth. 7. Next I scrub the inside of the bowl and wipe the floor around the commode. 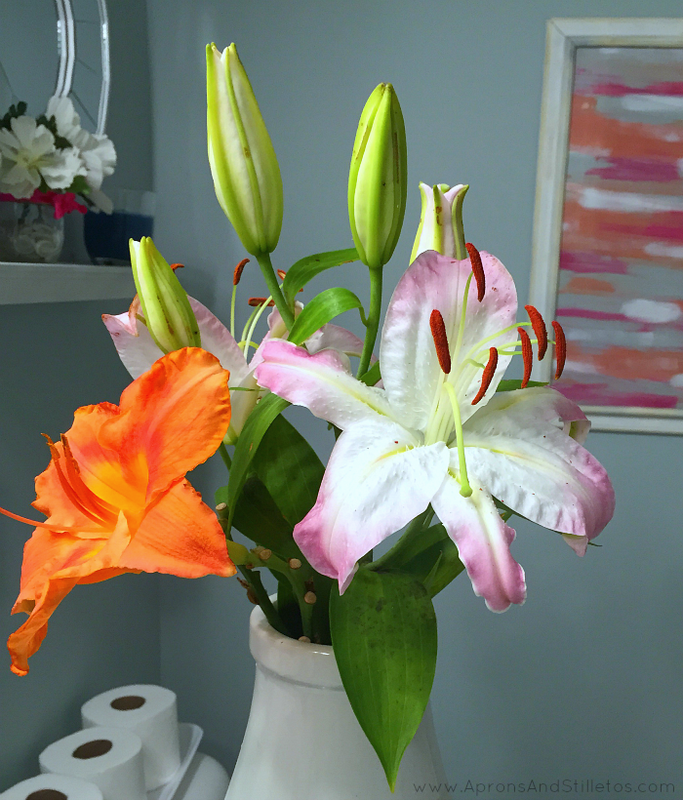 Now that the bathroom is clean, it’s time to replenish any depleted bathroom supplies and freshen up the decor. 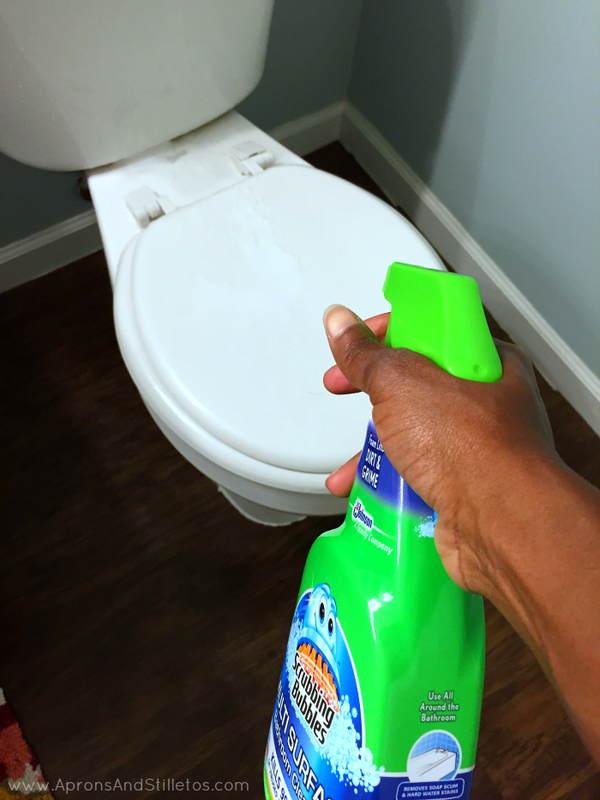 What’s part of bathroom cleanup do you dread the most? Did you enjoy my post? I’d love to email you when I publish my next one. Join my mailing list.